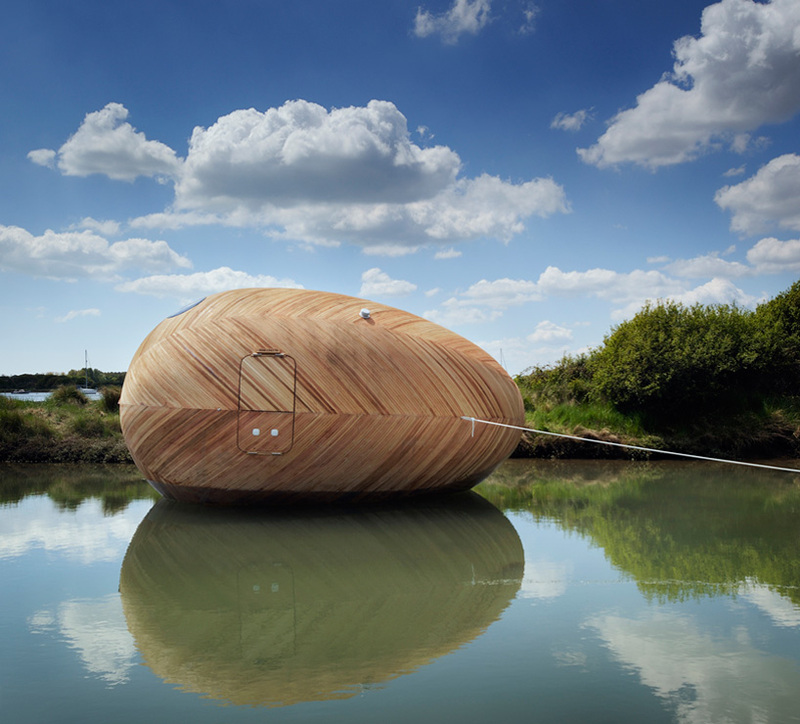 the exbury egg is a self-sustaining work space that is the result of a collaboration between PAD studio, the SPUD group and artist stephen turner, who will work from vessel for the next year. located in in the estuary of the river beaulieu UK, the egg is a place to stay and a laboratory for studying the life of a tidal creek, a collecting and collating centre with integral storage & display areas. the structure built using boat building techniques and local materials features a bed, a desk, a small stove, and a wet room. it will take on the patina of 730 daily tides below the water line, and 365 days of weathering by wind, rain and bleaching by the sun above.